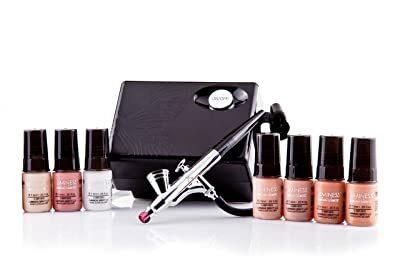 ﻿ Luminess Air Airbrush Makeup System Reviews - Does It Work for You? Is the Luminess Air System small enough to travel with? Is continuous Air Flow the right choice? How hard is it to learn airbrush makeup if you’ve never used it before? These past couple weeks I have really enjoyed using the Luminess Air airbrush system and I have got to say is a pretty neat little device, it’s much more simplified compared to my professional airbrush system, which in my case I am finding I much prefer. With most professional, non-retail systems, there is such a huge learning curve that at times you are more concerned about settings and placement of it and less certain about applying the makeup. Knowing that I was going to write this review on the Luminess Air airbrush system I of course had to use the Luminess Air system and also take my daughter’s experience of her using this into account. When you think about it the people over at Luminess Air have really taken a complex unit and compressed it into this simple little quiet device. Let me break it down on how I’ve personally used this system. How Difficult is the Luminess Air to Use? Is the Luminess Air System Small Enough to Take with Me? Is the Luminess Air Quiet? Should you buy & use the Luminess Air Airbrush System? In the morning I wake up take a shower then I sit down to start the makeup process. 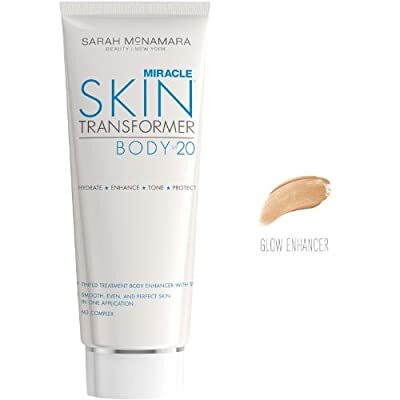 I pick out my bottle of foundation, shake a few times, put 4 to 5 drops into the little cup that sits on top of the stylus to start, turn on the compressor to start the air flow, aim the stylus (the part you hold) and slightly pull back on the trigger to start applying foundation. 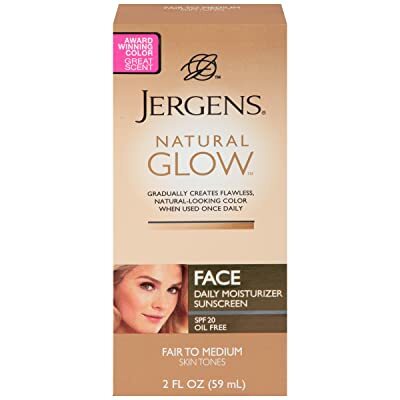 Even before you pull back to release any of the liquid makeup you can get an idea of where you are pointing it on your face because of the ever slight whisper of air that continuously flows through the airbrush. That is one of the great things about the Luminess Air system is that it has a continuous flow of air through the stylus so you don’t need to guess where you’re pointing it before you pull back on the trigger. Pulling back the trigger releases the makeup product into the air flow of the device which then gets applied to your face. Just like with anything else new there is a slight learning curve, but nothing to be intimidated with. Personally I’ve been using one for many, many years and I still had to give time to get used to a new type of airbrush system and stylus. Not to mention, The Luminess Air was my daughter’s first try with Airbrush Makeup and she mastered it within a couple of tries. Now when I say it takes time I mean a couple of try’s not weeks or months just a couple try’s and you might even want to try your first time on a simple piece of paper or sometimes I like to use a honeydew melon if you really want to get into it. Also, you have about a hundred online Luminess Air videos to go through if you come across anything that you are struggling with. They have provided these great little video tutorials that touch on just about anything you might need help on, along with some tips and tricks. This company even brought in the celebrity makeup artists Kathleen Kar for an example to walk you through some techniques. They have put out a video for everything and anything you ever might want to discover or learn about your airbrush system. The Luminess Air Airbrush System is very, very small and is easily the lightest airbrush system out there, which makes it super easy to travel with. On the top of the compressor (the little box that has the power button on it) there is a little hole so you can put your stylus into during filling or when you’re not using it. Also, I have heard stories of other women losing their stylus holder because on other devices it doesn’t go into the compressor; it either has a stylus holder that is built on the side of the compressor that detaches or a separate stand all by itself. Just think, if you are one of the millions of women that get up early every morning before anyone else in your family, not wanting to make a lot of noise because your husband is still in the bed sleeping, you won’t have to worry about waking anyone, because the Luminess Air system is very quiet. You might think I’m over-exaggerating the importance of a quiet airbrush system and to some I might be, but if you have used some of the other airbrush systems out there you would understand my enthusiasm. One of the other concerns that I have seen by others that are looking to by the Luminess air system is that most of their air brush systems except their Pro system has one setting for the air speed. If that is what is holding you back, don’t let it. Personally, having only one speed to worry about is a great thing and takes all the guess work out of it. In all the years of using airbrush makeup I have rarely ever used different air speeds with my older systems that have the optional air speed. You really don’t need to. You kind of get accustomed to the one setting and never leave it. So having the one setting on most of the Luminess Air systems is a relief in my eyes. It’s really simple: Are you happy with the results that you’re manual makeup has been giving? If you where I don’t think you would be here reading this right now. The Luminess Air airbrush system is the natural evolution of makeup. It’s the next natural step. Like from horse and buggy to automobiles (I know, I could have thought of a better analogy). 2. 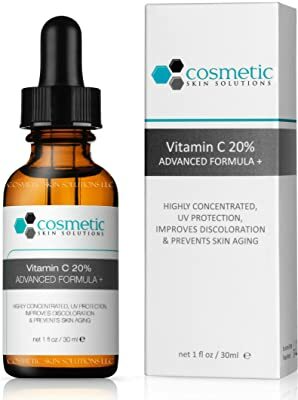 Vitamin C 20% Serum + Ferulic Acid & Hyaluronic Acid For Maximum Anti-Aging! I love this System . The problem I’m having is the makeup bottles. They keep popping off the top so when I shake it , it splatters everywhere. I’ve ruined lots of clothing. The blush is the worse. I’d like to know what’s going on? Is it me?